The quality policy of TECHNI-PHARMA formalizes the commitment of the Management to guarantee the applicable statutory requirements conformity while attempting of giving complete satisfaction to the patients. This Quality policy defines the functioning of the quality system and the operational follow-up of activities in terms of pharmaceutical quality, with regards to the making and exploiting status. The Quality culture is conveyed to the everyday life within the company by the use and the respect for the process, the trainings, and the authorizations of the staff. 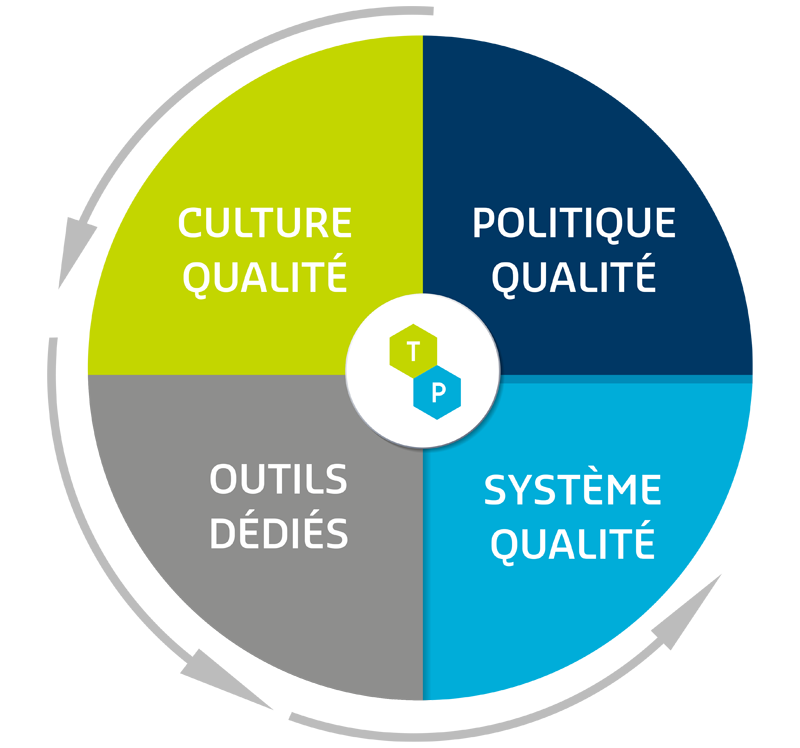 The TECHNI-PHARMA quality system is based on a continuous improvement approach of the quality system thanks to the participation of the entire staff at every level. The TECHNI-PHARMA Quality policy is applicable to all the stages of the life cycle of products. The implementation of the TECHNI-PHARMA Quality policy achieved through the applicable reference tables and the tools dedicated to the Quality management.